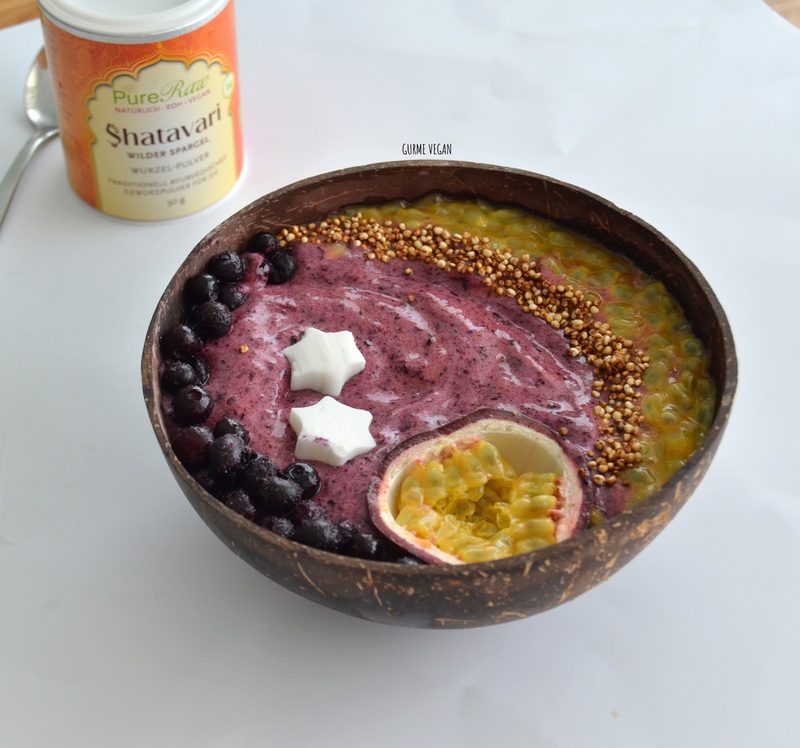 Shatavari is balancing female hormones and promoting healthy energy levels and strenght. Passion fruit is providing a boost to immune system. If you eat one serving of passion fruit each day, you can satisfy 1/4 of your potassium needs immediately. One often overlooked compound in passion fruit is a medicinal alkaloid, harman, which functions as a sedative. This compound of passion fruit has been connected to a reduction in restlessness, insomnia, and nervous anxiety, which can keep you from getting a good night’s sleep. 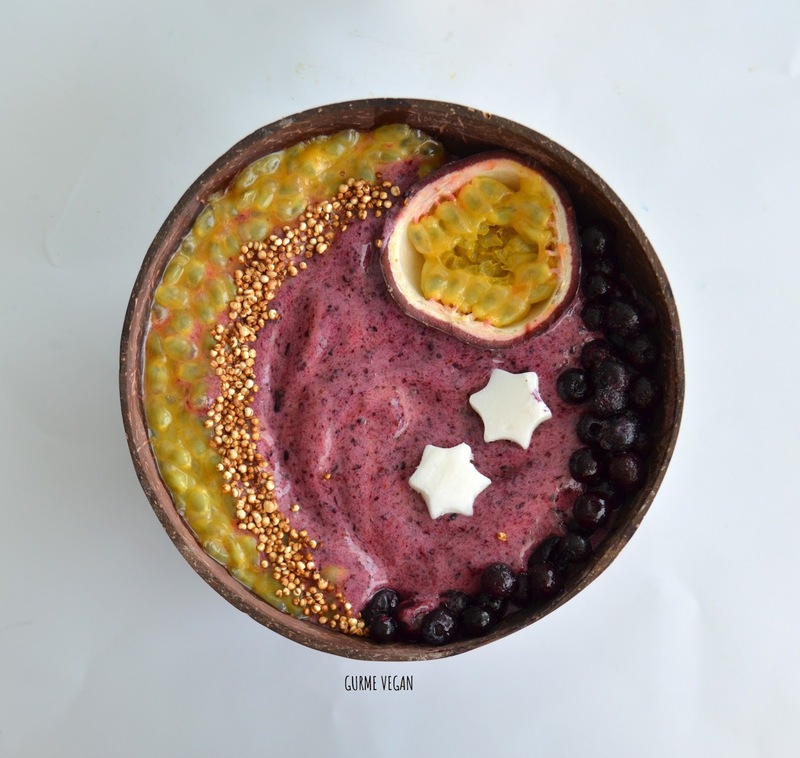 Try reaching for a slice of passion fruit in your smoothie and head back to your pillow! 1. Blend all ingredients on high speed. 2. Decorate with toppings and serve cold!